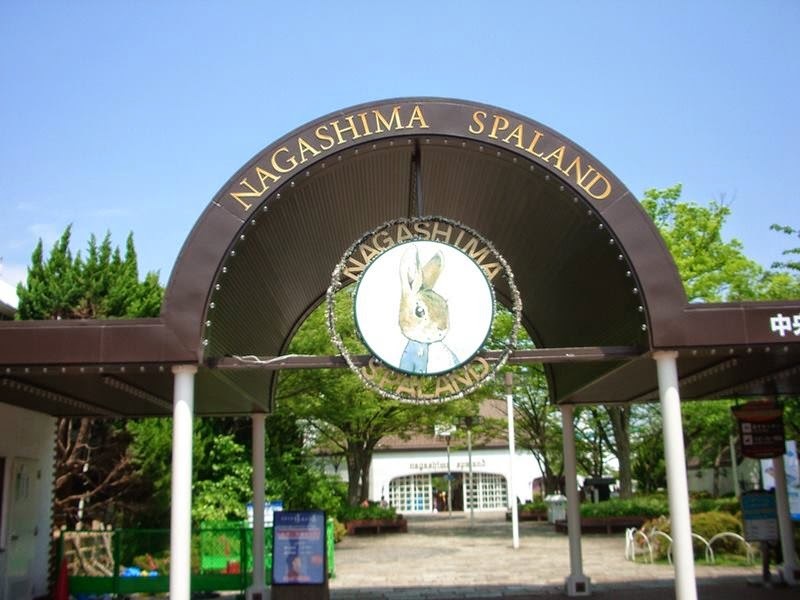 Nagashima Spa Land is a major amusement park in Kuwana, Mie Prefecture, Japan. 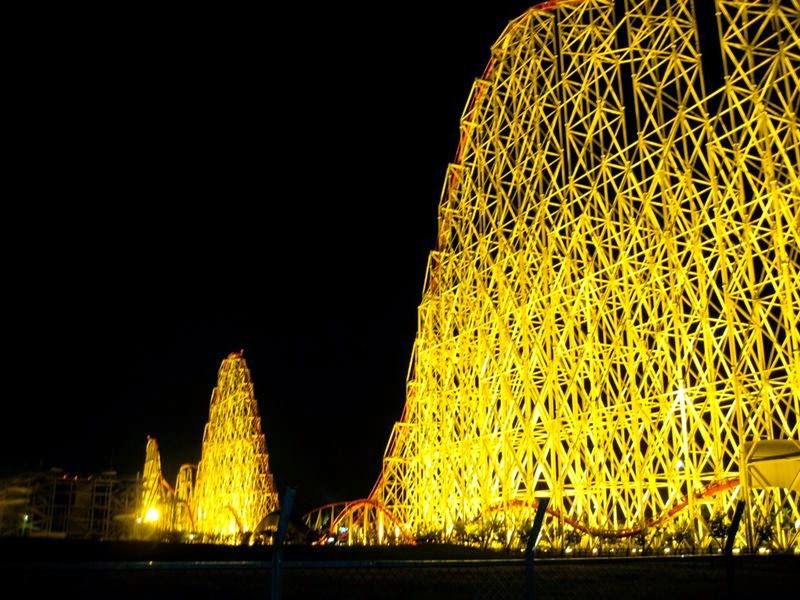 It features several roller coasters, thrill rides, and kid rides, a giant Ferris wheel, and a water park. 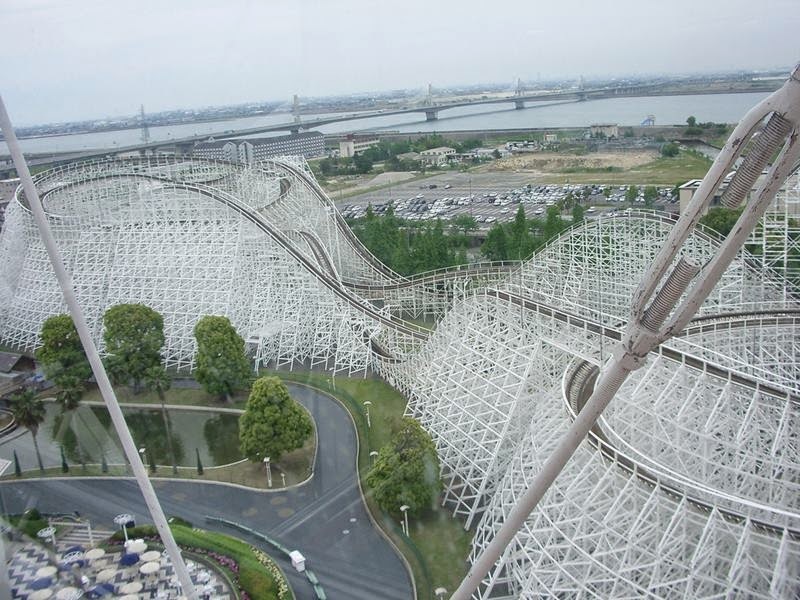 As of 2012, Nagashima Spa Land is the 18th most visited amusement park in the world. 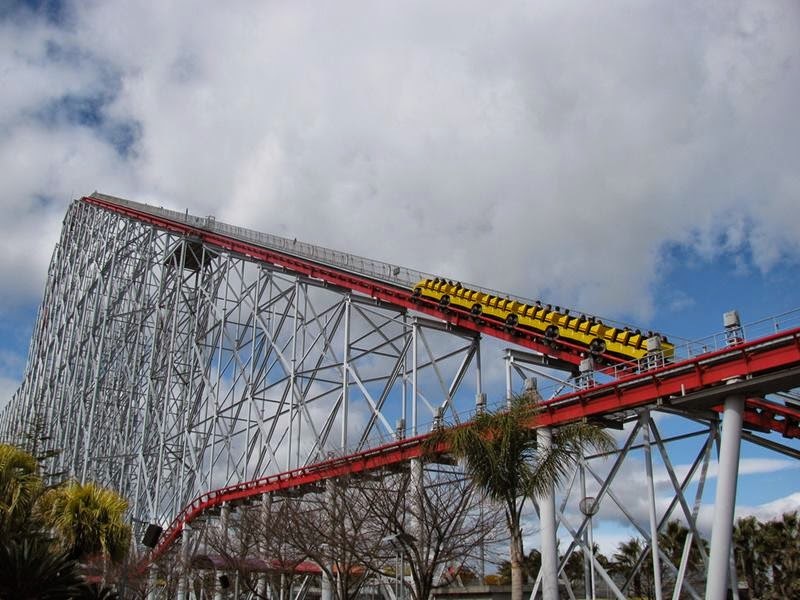 The Nagashima complex consists of a theme park with a wide variety of incredible rides including the terrifying Steel Dragon 2000, featuring the World's fastest descending roller-coaster and the White Cyclone, the World's largest wooden coaster. 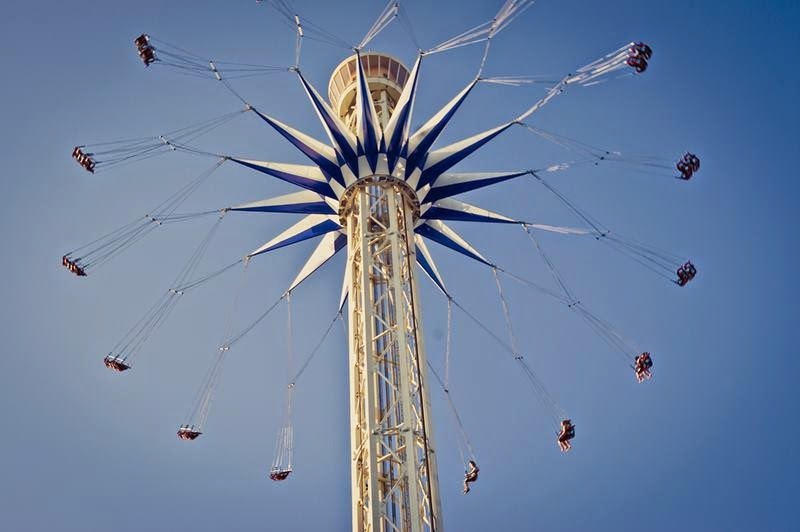 The day pass includes all the rides and being quite compact means that even the biggest adrenalin junkie should be able to get their fill of ups and downs during a day at the park. 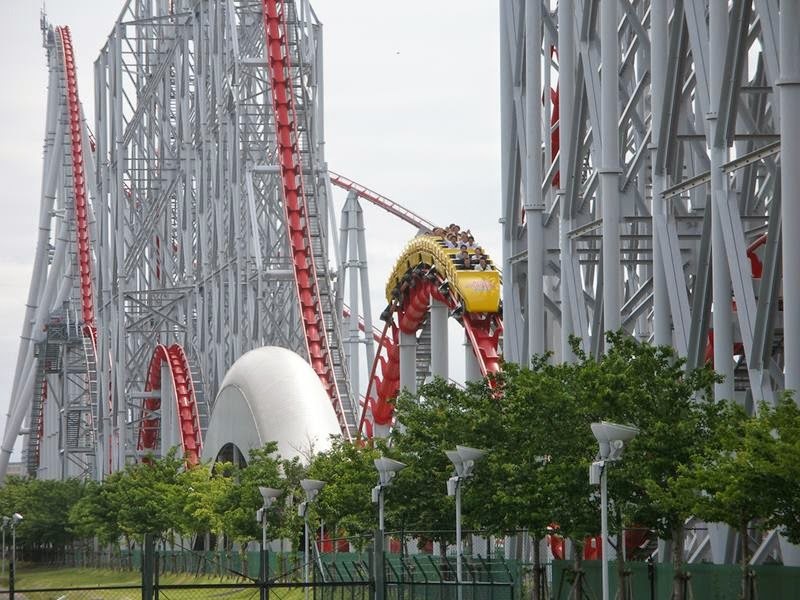 But there is a lot more to Nagashima than just theme park rides. 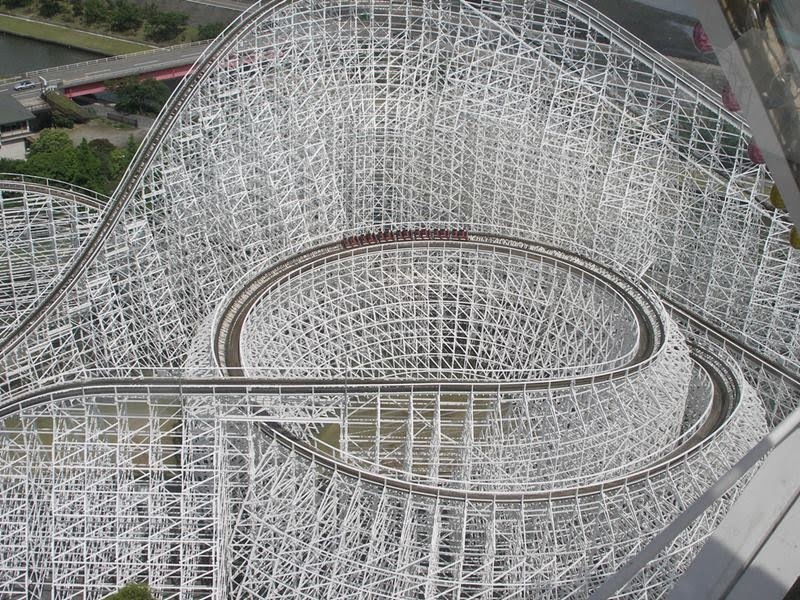 Steel Dragon 2000 — A serious roller coaster that could give the world's best a run for their money. 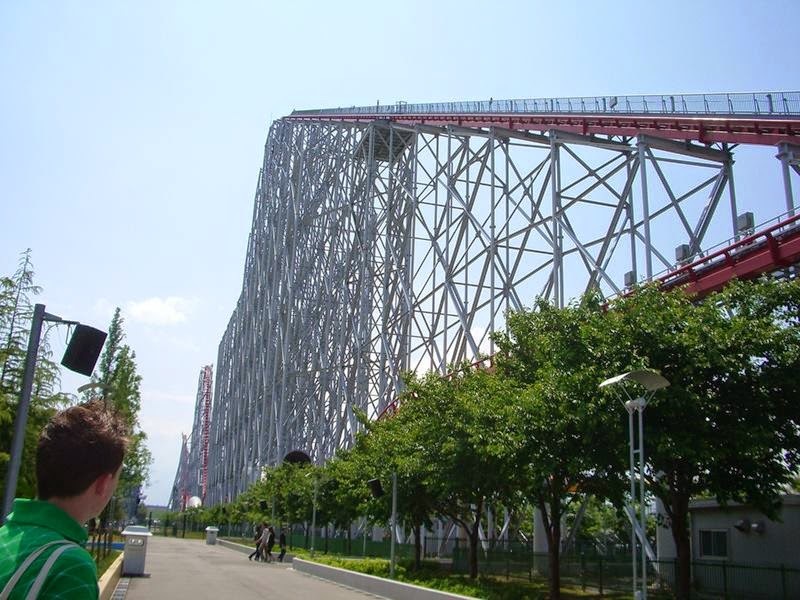 At the time of its opening in 2000, it held the world record for speed, height, and track length (the so-called "triple crown"). 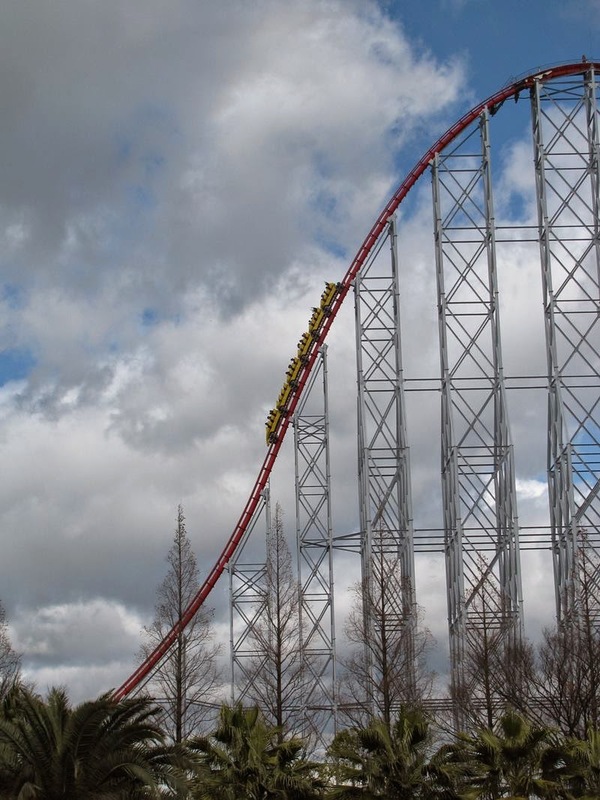 In two fields it has been superseded, however the world's longest roller coaster record (2479m - 8133ft) still holds a decade later which is a true testament to the quality of this ride. The name comes from the fact that 2000 was a "Year of the Dragon" in the Chinese Zodiac. Has a huge hill (97m - 318ft) that can compete with the world's best with quite a few more hills following after it. The top hill can easily be seen from far and wide in much of northern Mie and the Nagoya area on a clear day. You get an amazing view of northern Mie from the top hill right before you take the plunge! The ride clocks in at over three minutes long. 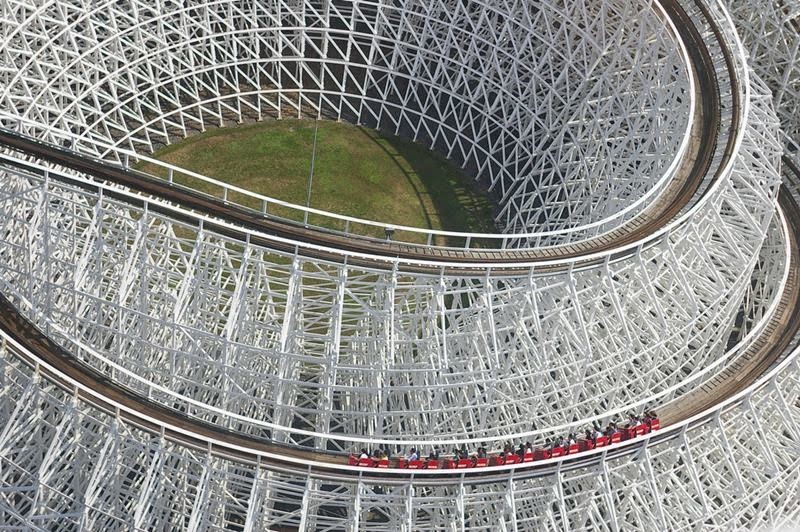 White Cyclone — The other major roller coaster in Nagashima is a massive wooden ride that opened in 1995. 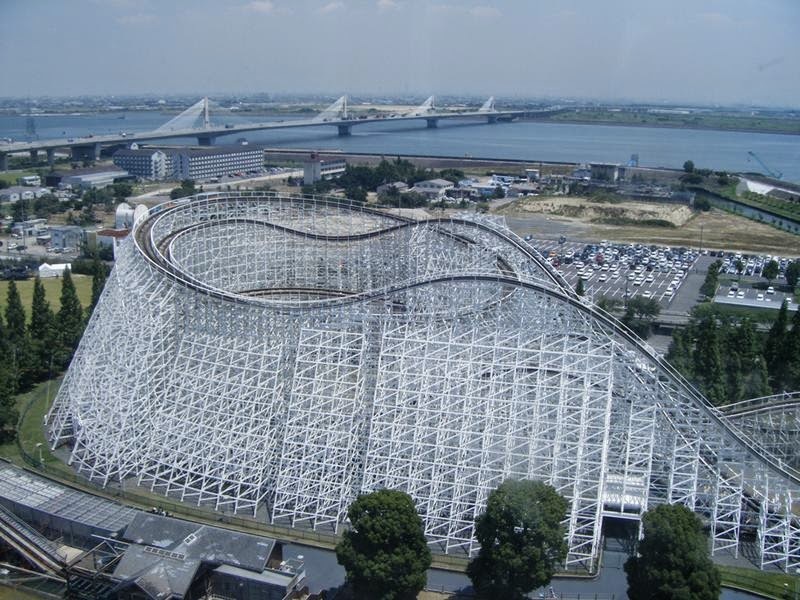 Wooden roller coasters are extremely rare in Japan (only 5) due to strict rules on the construction of wooden buildings/structures set in place by the Japanese government. This tribute to deforestation starts with the standard big hill and then zigs and zags around in an out-and-back fashion all over the place. Riders with high tolerance for bumpy and rattly rides and/or have strong neck muscles will enjoy riding this multiple times. 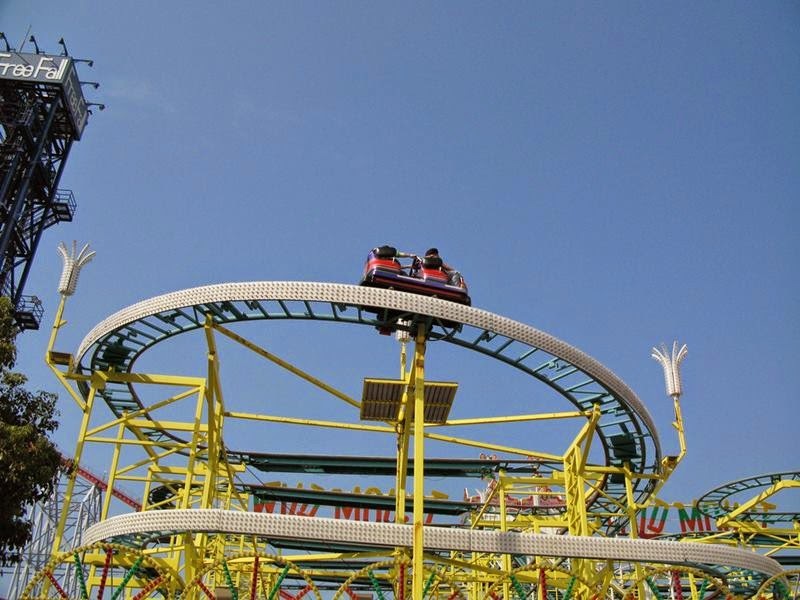 There is a cork screw-style one, a mine ride one, a standing one, an interesting one that twirls you while you move straight, and a few other ones. Giant Frisbee, Space Shot, Space Shuttle, Ferris Wheel, Giant Splash, Bobcart. 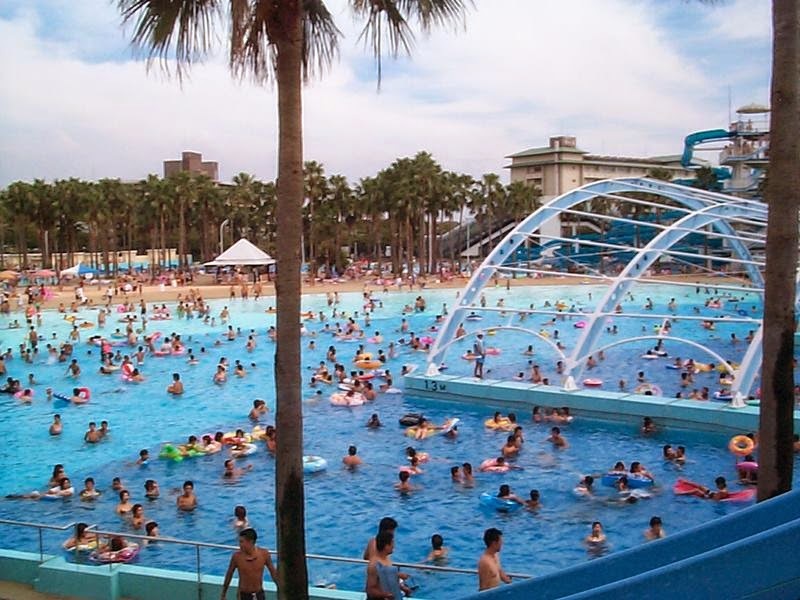 Holds the world record for most number of water slides crammed into the area occupied by the park – meaning it is the densest water park there is. Great fun in the summer. 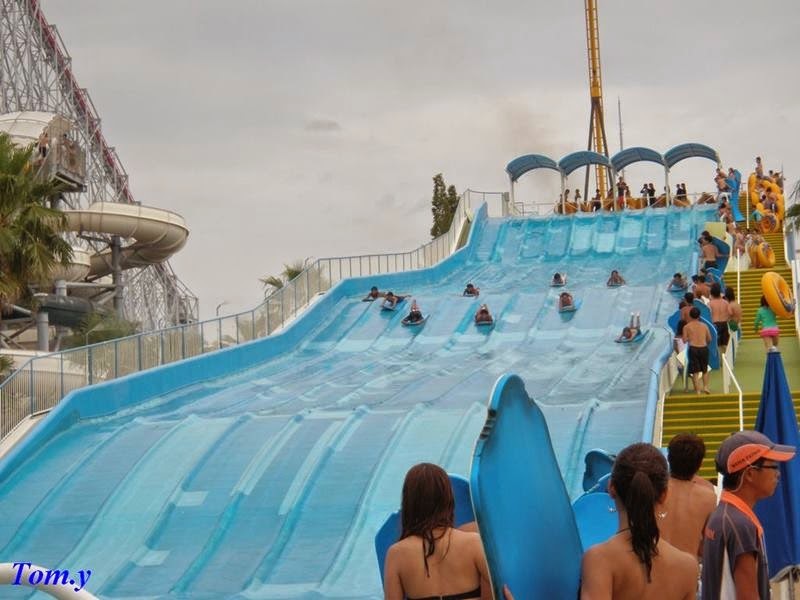 8 types of waterslides, including tunnel ones and raft-style ones. Giant pool, Wave pool, Onsen pool, Jazz Dream — Nagashima Spa Land's famed outlet shopping mall – the first outlet mall in the Chubu area. Houses many big name brands at cheaper prices than you'll normally find as well as a few restaurants and cafes. 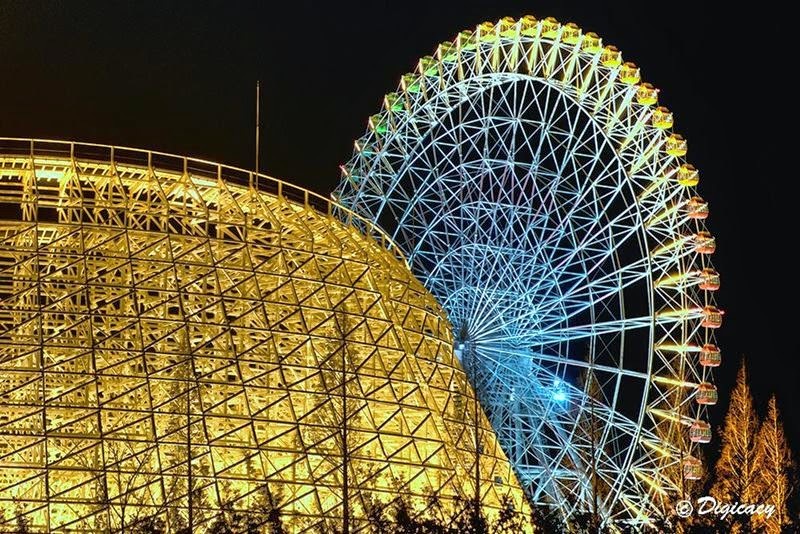 If you end up going to Nagashima Spa Land on your school field trip, many of the teachers will escape here to get away from the hordes of students in the amusement park. There are a number of hotels just south of the amusement park where you can hop in the onsen without staying at the hotel. Will cost a few hundred yen but the baths are especially nice and some are very scenic.